The House That Jack Built is a 2018 Drama Horror Crime Thriller movie directed by . It stars Matt Dillon, Bruno Ganz, Uma Thurman, among others. 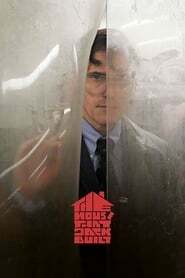 The House That Jack Built is currently rated 7.3 stars on the ReelBugs scale. Matt Dillon is da bomb and Trier is da fuse! Nice, nice and NICE! Lars is love! Mr. Trier, eff the Cannes. You got your niche and we're loyal. Can't wait. jesus, i cant wait for this !!!! I wait for this movie. I thought that was Billy Crudup. The House That Jack Built....is it This Is Us? what does the finger mean¡? Yeah, this is gonna pretty dark. But whats he doing with his finger? Sociopath mannerism? The first male lead since Element of crime. If they ever decide to remake Psycho again....we just got a good glimpse of our new Norman Bates.